Over the weekend, a man opened fire in a Kansas bar and shot three people, killing one. The assailant was a White American; the targets of his attack were two Indian men. Before the shooting, the killer demanded to know whether they had visas to be in the US or not – they did – and loudly shouted at them to “get out of my country.” He left the bar to get his gun, and soon returned and opened fire, killing 32-year-old Srinivas Kuchibhotla. In the melee, a bystander tried to stop the assailant and was shot as well. In a call to 911 placed soon after the incident, it became clear that the killer believed he had attacked two Iranians. The slaying comes on the heels of US President Trump’s passage of the “Muslim Ban,” which restricted the rights of Iranians – along with citizens of six other Muslim-majority states – and refugees to enter the United States, including those with green cards and visas. Although temporarily blocked at the time of writing, Trump has promised a new “Muslim Ban” executive order will be released within the week. 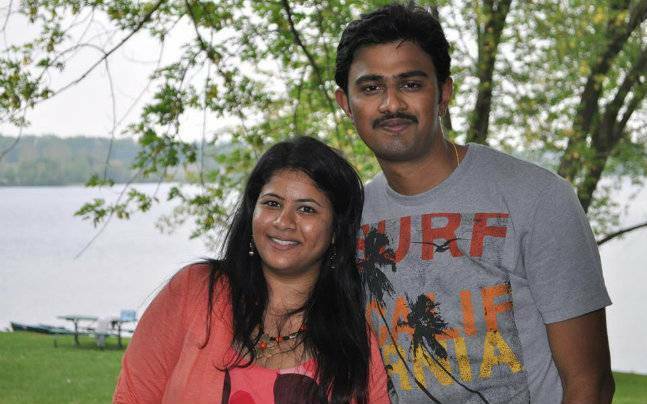 The victim of the attack, Srinivas Kuchibhotla, with wife Sunayana Dumala. Source: India Times. This is not the first time a hate crime has hit the “wrong” target; the post-9/11 era has seen an explosion of hate crimes and violence against not only Muslims but against all who are perceived to be related to them, including Middle Easterners of Christian faith and South Asians of Hindu, Sikh, Christian, and other faiths. 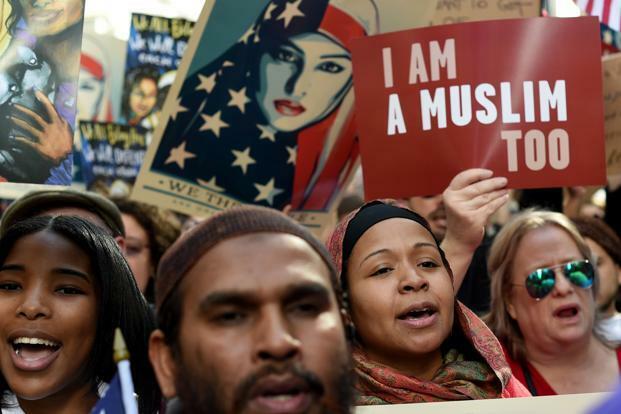 Although anti-Muslim bigotry technically targets Muslims, because it is rooted in xenophobia and racism more broadly it has deadly effects for Brown and Black Americans of a wide variety of backgrounds. It’s easy to claim that the killing was a question of mistaken identity: the murderer came to kill an Iranian, but by accident killed an Indian. But focusing on the fact that he “got it wrong” downplays the fact that for a bigot who hates foreigners, the difference between killing an Iranian and an Indian is unimportant. Racist hatred rarely has time for elaborate classification of its victims, and Americans are notoriously bad at geography anyways. Take Trump’s Muslim Ban, for example: using the pretext of targeting Islamic terrorism, he banned citizens of seven countries from the US – even though not a single citizen of those countries has ever even committed an “act of terror” on US soil. 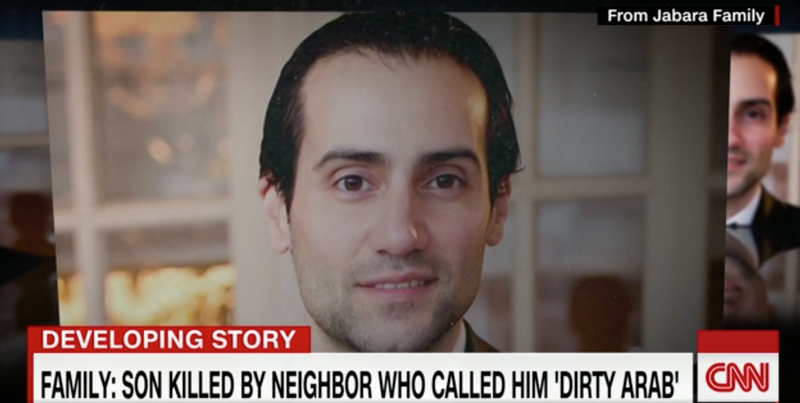 Khalid Jabara, a Lebanese Christian shot dead in Oklahoma in 2016. Source: CNN. But to focus on why some countries made the list and not others is beside the point: Trump’s Ban was a “Muslim Ban,” as he promised during his campaign. Giuliani made this clear when asked about how the Ban had been conceived – Trump said he wanted a way to legally ban Muslims from the US, and so they found it. By banning citizens of those seven countries – home to the majority of Muslim refugees entering the US – they managed to do so, if only partially. So far, at least 100,000 people were directly affected, and hundreds of thousands more were likely indirectly affected. 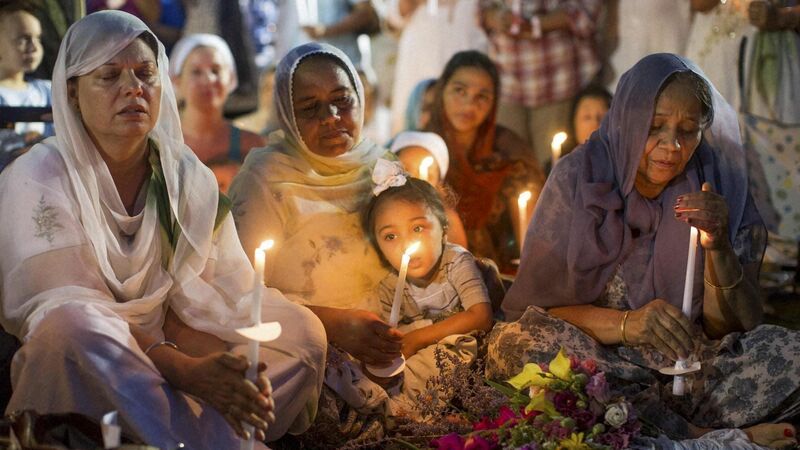 The outpouring of hatred against Americans of Muslim, Middle Eastern, and South Asian background that has accompanied the Trump campaign and exploded since the November election has not distinguished the religion, race, or nationality of the victims in any way. Among those who have found themselves on the receiving end of abuse, hatred, and violence in this country are Christian Lebanese, Hindu Indians, Arab Muslims, Christian Assyrians, Iranians, and many, many more. If there is one thing that characterizes Islamophobic violence, it is how often anti-Muslim bigots have no clue who exactly they’re shooting at – and, more importantly, how little they care about so-called mistaken identity. Protest against the Muslim Ban in New York City. Source: AFP. Islamophobia has fed into other forms of bigotry as well. This is a fact that many members of the American Jewish community – a majority of whom have long been considered white and assimilated in America – are quickly figuring out amid a wave of attacks on Jewish cemeteries and threats against Jewish community centers across the country. In the wake of Trump’s Muslim Ban, a disturbing trend emerged in many communities. Some Iranian-Americans complained that the Ban was racist and should target countries like Saudi Arabia or Pakistan instead of them – as if Trump and his ilk even know the difference. Some Christian Arab- and Assyrian-Americans spoke out in support of the ban in the hope it could help Christian refugees – as if the hate and ignorance that inspired a “Muslim Ban” would somehow understand the nuance of Middle Eastern religious diversity (as the subsequent deportation of Syrian Christians showed, they didn’t). And some Hindu-Americans rallied behind the Islamophobic underpinning of the ban – apparently not realizing that Trump’s top strategist Steve Bannon has said that Silicon Valley has too many “Asian CEOs” and that steps are being taken to limit Indian immigration, regardless of religion. American Sikhs mourn after an attacker opened fire in a Wisconsin temple in 2012, killing 5. Source: AP. But when a wave of hatred is unleashed against one group of immigrants, refugees, or religious adherents, that toxic bigotry quickly spreads and infects the nation’s perception of every group it deems outside the norm. Nothing has made this more clear than the sudden increase in interrogation, detention, and deportation at US airports in the wake of the Muslim Ban – suddenly, with the pretext of “national security,” people from Canada, Egypt, the UK, Pakistan, France, and a wide variety of other countries totally unrelated to the seven listed countries are being stopped and deported. When a policy targets one racial, ethnic, national, or religious group, it gives free license for a wide variety of hatreds. Now, more than ever, we must recognize that a threat to one of us is a threat to all of us. The killing in Kansas makes manifestly clear that relying on the exclusion of others to keep oneself safe is not a viable, or moral, strategy. This was not a case of “mistaken identity” – Srinivas Kuchibhotla should not have been killed, and neither should anyone else. 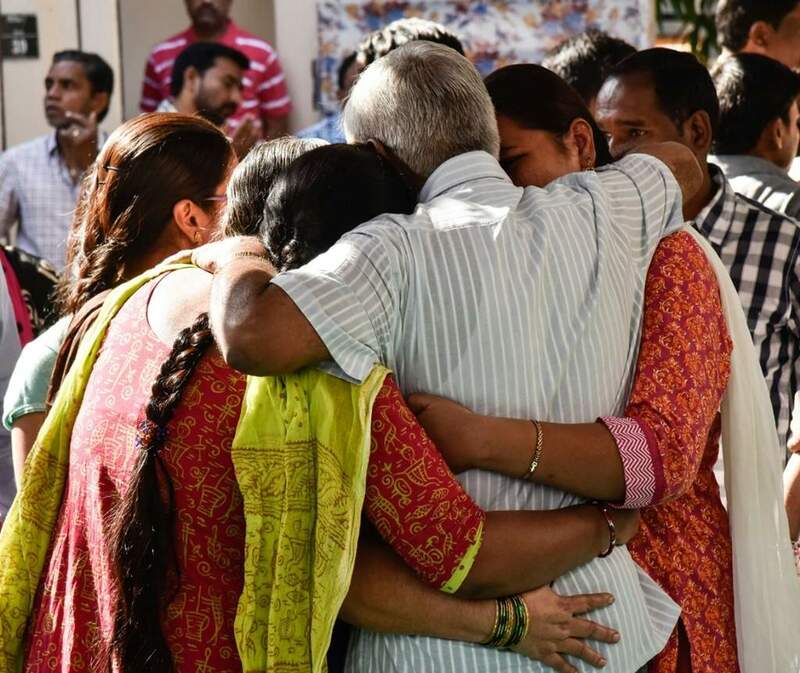 Family and friends of Srinivas Kuchibhotla mourn his death in India. Source: New Indian Express. First of all dear sir you write so well and I am your huge fan after ready this. to kill someone is like to kill all humans so just live with peace respect everyone but do not murder anyone. Whatever the reason are we have no right to kill someone.